One of my favorite things about UVA is basketball season. 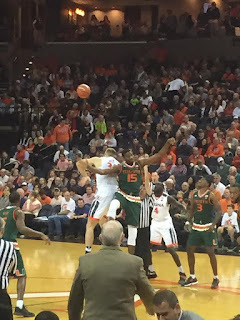 I had never been much of a basketball fan in all honesty, but college has completely changed that because basketball season brings UVA together. At times UVA can feel really big; there are over 16,000 undergrad students all involved in very different activities and classes. Yet basketball somehow makes that gap feel smaller. You have to request for a ticket to the games which is then based on a lottery system. The more ‘sabre points’ you have, earned by going to more sporting events, the more likely you are to get a ticket to a basketball game. You are given a group which then indicates what time you are permitted to enter the game therefore determining where you can sit. The lower your group, the likelier your chance of getting a seat on the side lines. Regardless of where you sit though, you will be able to feel the energy of the wahoos on their home court. And in no time, you will learn all of the cheers and most importantly, the Good Ol’ Song. 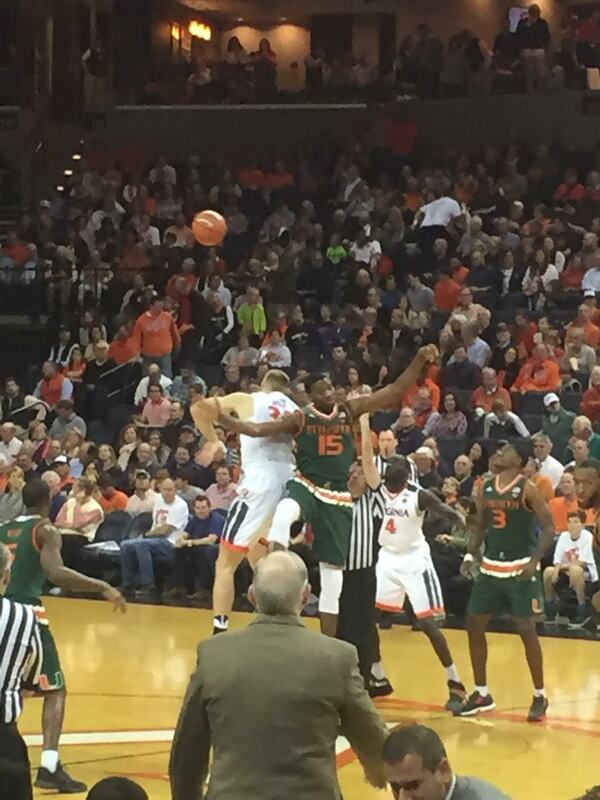 The Virginia vs. Miami game tonight was another hard one to watch. The hoos haven’t had their best season, but we will still hold our allegiance to them knowing that they will bounce back soon. No matter what, I will cheer for the hoos and always will.